Hey ya'll !! (I was channeling my inner Southern gal right there just like Tracie) He He ! I am super excited to share this news and experience with you all today. Let me rewind to a few weeks back. I was asked by the amazing, and funny Tracie Clairborne to be a guest on her Magic Memory Keepers podcast. If you are not familiar with Tracie she is a host and co host of 2 different scrapbooking podcasts. I was truly humbled and blessed to be asked to join her as a guest. I was also kind of shocked that she wanted to talk to little old me ! LOL. But it sure was a lot of fun. Oh and yeah, I just about fell off my chair when she said that I was one of her top 5 scrapbookers. Seriously, in shock !! So thank you Tracie for making my day, well my month or year !! Wowzers. The one I want to talk to you about today about is called Magic Memory Keepers. It is all about Disney and scrapbooking. I have listened to all the episodes and have enjoyed them. Really great stuff, and it's about Disney. I am a very proud Disney lover and so is my entire family. So now let's talk about the episode. So those who are close to me, know that I am kind of quiet and not really an outgoing person to those who I don't know. I wish I could say that public speaking is something that comes easy to me but it doesn't. So with that being said I was kind of nervous about the whole thing. Well, maybe a lot nervous !! Before I go to far let me give you some links to the show and blog. Ever since I have been on the show, well actually the weeks before, I have been obsessed with Disney. I went and tracked down my photos from our 2010 trip. Well, back then I thought that I was taking some great photos. And still thought they were good photos until I started looking through them. Wwwweeeelll. Most of them are blurry. Lets be honest, I think I have come a long way since then. But no fear I will scrap them. And it will be OK !! It's not the end of the world. Here are some of my favorite shots from our trip in 2010. Some are ok, some are good. 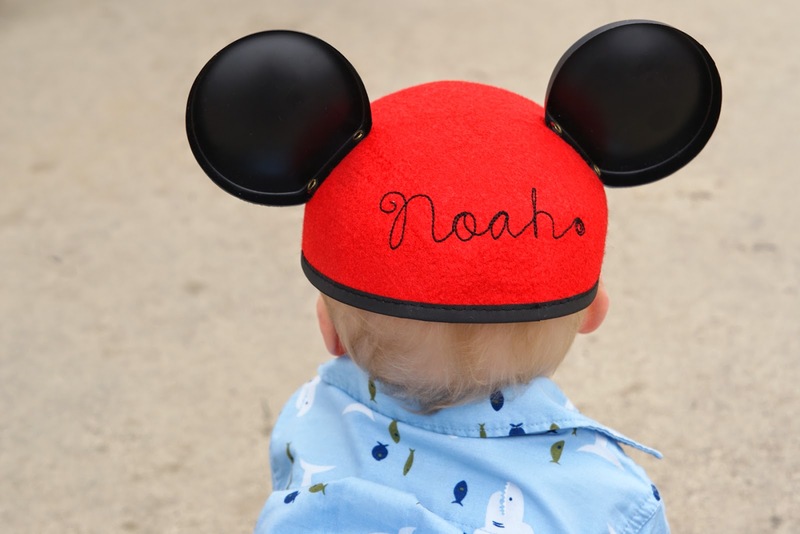 Here is Noah sporting his first set of Mickey Ears. Does anybody remember the HUGE letters outside of California Adventure ? They are not there anymore but they were sure fun to take photos in. 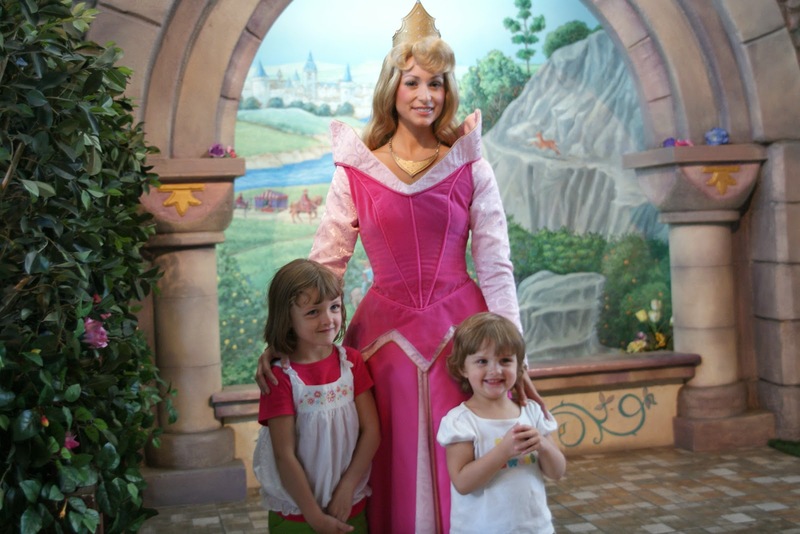 Maddie's heart broke after waiting in line to see her idol ( Sleeping Beauty) Only to miss her by a few people in line. But don't worry there is a happy ending to this story ! See - a happy ending the next day. 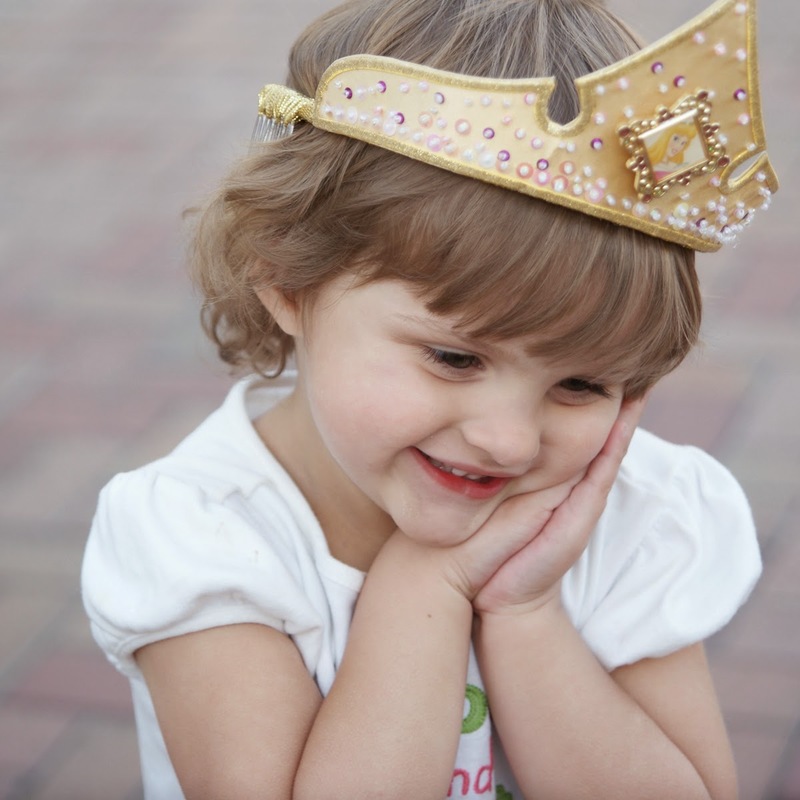 One of my favorites : Maddie with her Sleeping Beauty crown on. "Mommy, I'm really Sleeping Beauty now. Aren't I ?" 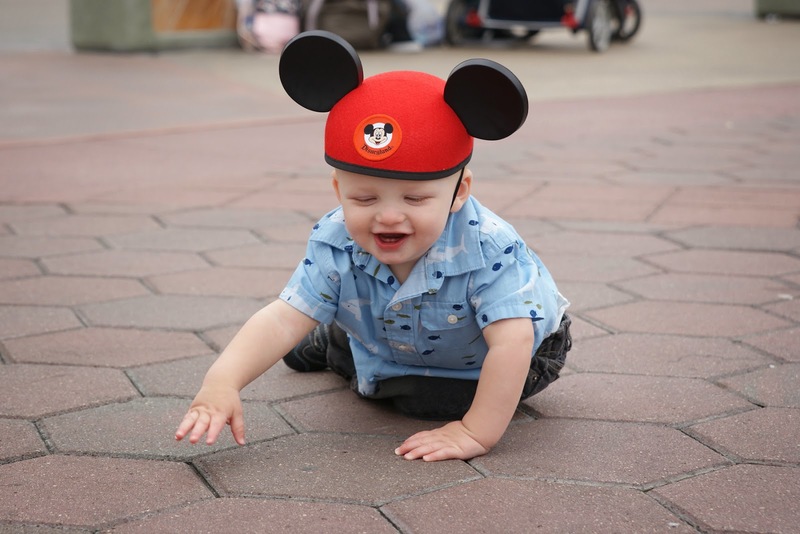 That right there is the magic of Disney. Love it ! There have been lots of fun memories since then for sure. 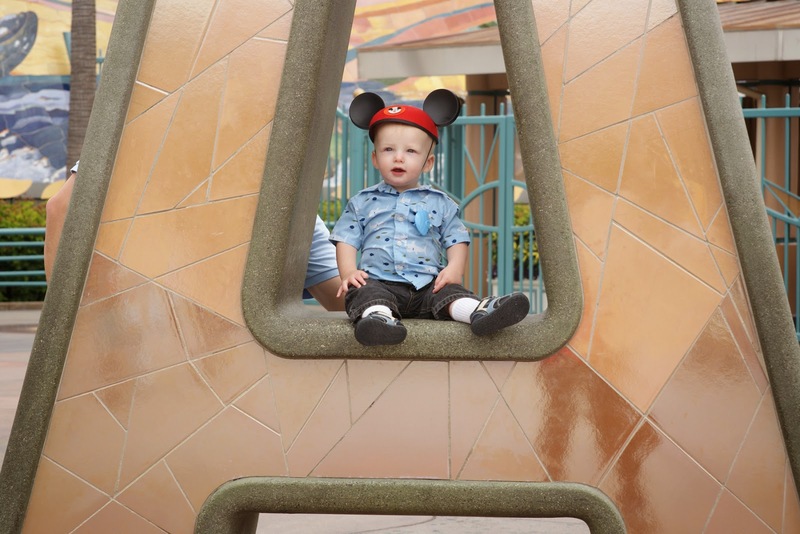 I think I might do a My Favorite Memories from Disney blog post. Hmmmm, that would be fun. I have been reminiscing with my hubby about our Disney trips and toying with the idea of going back. I even used the excuse : Well Anna, Elsa and even Olaf are there right now !! Ha Ha. He is only half buying my pleas. Because I know he secretly wants to back just as bad as I do. Wow, look at me ramble off. Now if I only I could have done that on the show. Uhh !! Well let me wrap up by saying go check out the podcast. Thanks for coming everyone !